This article is about the region. For the European constituency, see North East England (European Parliament constituency). North East England is one of nine official regions of England at the first level of NUTS for statistical purposes. It covers Northumberland, County Durham, Tyne and Wear, and the area of the former county of Cleveland in North Yorkshire. The region is home to three large conurbations: Teesside, Wearside, and Tyneside, the last of which is the largest of the three and the eighth most populous conurbation in the United Kingdom. 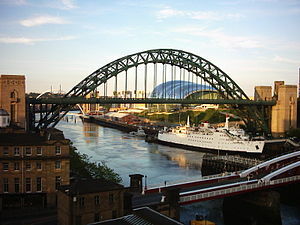 There are three cities in the region: Newcastle upon Tyne, the largest, with a population of just under 280,000; Sunderland, also in the metropolitan county of Tyne and Wear; and Durham. Other large towns include Darlington, Gateshead, Hartlepool, Middlesbrough, South Shields, Stockton-on-Tees and Washington. The region is generally hilly and sparsely populated in the North and West, and urban and arable in the East and South. The highest point in the region is The Cheviot, in the Cheviot Hills, at 815 metres (2,674 ft). The region contains the urban centres of Tyneside, Wearside and Teesside, and is noted for the rich natural beauty of its coastline, Northumberland National Park, and the section of the Pennines that includes Teesdale and Weardale. The regions historic importance is displayed by Northumberland's ancient castles, the two World Heritage Sites of Durham Cathedral and Durham Castle, and Hadrian's Wall  one of the frontiers of the Roman Empire. In fact, Roman archaeology can be found widely across the region and a special exhibition based around the Roman Fort of Segedunum at Wallsend and the other forts along Hadrian's Wall are complemented by the numerous artifacts that are displayed in the Great North Museum Hancock in Newcastle. St. Peter's Church in Monkwearmouth, Sunderland and St. Pauls in Jarrow also hold significant historical value and have a joint bid to become a World Heritage Site. The area has a strong religious past, as can be seen in works such as the Lindisfarne Gospels and the Anglo-Saxon Chronicle. 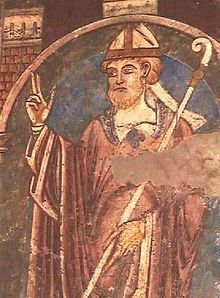 The work of the 7th-century Cuthbert (634–687 AD), Bede (673–735 AD) and Hilda of Whitby (614–680 AD) were hugely influential in the early church, and are still venerated by some today. These saints are usually associated with the monasteries on the island of Lindisfarne, Wearmouth – Jarrow, and the Abbey at Whitby, though they are also associated with many other religious sites in the region. Bede is regarded as the greatest Anglo-Saxon scholar. He worked at the monasteries of Wearmouth and Jarrow, translating some forty books on all areas of knowledge, including nature, history, astronomy, poetry and theological matters such as the lives of the saints. His best known work is "The Ecclesiastical History of the English People". One of the most famous pieces of art and literature created in the region is the Lindisfarne Gospels, and are thought to be the work of a monk named Eadfrith, who became Bishop of Lindisfarne in 698. This body of work is thought to have been created in honour of Cuthbert, around 710–720. On 6 June 793 the Vikings arrived on the shores of north-east England with a raiding party from Norway who attacked the monastic settlement on Lindisfarne . The monks fled or were slaughtered, and Bishop Higbald sought refuge on the mainland. A chronicler recorded: "On the 8th June, the harrying of the heathen miserably destroyed God's church by rapine and slaughter." There were three hundred years of Viking raids, battles and settlement until William the Conqueror defeated King Harold at Hastings in 1066. The Anglo-Saxon Chronicle notes the change from raiding to settlement when it records that in 876 the Vikings "Shared out the land of the Northumbrians and they proceeded to plough and support themselves" The Anglo-Saxon Kingdom of Northumbria extended from the Scottish borders (then Pictish borders) at the Firth of Forth to the north, and to the south of York, its capital, down to the Humber. The last independent Northumbrian king from 947–8 was Eric Bloodaxe, who died at the Battle of Stainmore, Westmorland, in 954. After Eric Bloodaxe's death, all England was ruled by Eadred, the grandson of Alfred the Great; and so began the machinery of national government. Today the Viking legacy can still be found in the language and place names of north-east England and in the DNA of its people. The name Newcastle comes from the castle built shortly after the conquest in 1080 by Robert Curthose, William the Conqueror's eldest son. North East England has an oceanic climate with narrower temperature ranges than the south of England. Summers and winters are mild rather than extremely hot or cold, due to the strong maritime influence of the North Atlantic Current of the Gulf Stream. The Met Office operates several weather stations in the region and are able they show the regional variations in temperature and its relation to the distance from the North Sea. The warmest summers in the region are found in Stockton-on-Tees and the Middlesbrough area, with a 1981-2010 July average high of 20.4 °C (68.7 °F). Precipitation is often low by English standards, in spite of the low levels of sunshine, with Stockton-on-Tees averaging only 574.2 millimetres (22.61 in) annually, and with the seaside town of Tynemouth (despite its slightly sunnier climate) recording 597.2 millimetres (23.51 in) annually. The summers on the northern coastlines are significantly cooler than in the southern and central inland areas: Tynemouth is only just above 18 °C (64 °F) in July. Further inland, frosts during winter are more common, due to the higher elevations and distance from the sea. After more than 2,000 years of industrial activity as a result of abundant minerals such as salt and coal the chemical industry of the Northeast England is today spread across the whole of the region with pharmaceuticals being primarily produced in the north of the region, speciality and fine chemicals spread across the middle of the region and commodity chemicals and petrochemicals on Teesside. These companies are members of the Northeast of England Process Industry Cluster (NEPIC). The early chemical industry in this region, however, was primarily Tyneside based and associated with the manufacture of soap and glass. The most important chemical activity in the 18th and 19th centuries was the manufacture of alkali to make soap, which was when mixed with lime and sand and used to make glass. The effects of the industrial revolution could be seen through an economy dominated by iron and steel, coal mining and shipbuilding. Before the industrial revolution alkali was mostly used to aid the bleaching process of cloth. As the industrial revolution took hold, increasing demand for alkali came from higher production of dyestuffs, and bleach. In 1798 John Losh and the Earl of Dundonald took out a lease for a rich supply of brine pumped from a nearby coal mine, the Walker pit, becoming the supplier of raw material for The Losh, Wilson & Bell Alkali works. The works were established at Walker-on-Tyne in 1807 and bleaching powder manufacture began there in 1830, Losh Brothers soon manufactured half the soda in England. By 1814 the Leblanc process of making alkali from common salt was introduced to Britain. Alkali works using this process opened at Tyne Dock 1822, Felling shore Tyneside 1826, Friars Goose Gateshead 1828 and again on Felling Shore in 1834. Such works also produced soda, alum and Epsom salts. The river frontage at South Shore of the River Tyne at Gateshead was one of the main locations for the chemical industry such that in the 19th century, which led to a cluster of iron, soap and alkali manufacturing. By 1828 the alkali works had large problem controlling emissions of hydrochloric acid fumes which devastated the neighbouring countryside. 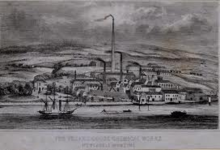 One solution was to build tall chimneys to drive the fumes further away and in 1833 the tallest chimney in England was built at the Friars Goose Alkali Works. The passing of the Alkali Act of 1863 in the UK Parliament brought about a further reduced pollution from these processes and was the first industrial environmental legislation to come into practice globally. Robert Wilson first produced sulphuric acid and fertilisers at Urlay Nook near Egglescliffe in 1833, becoming Teesside's first great chemical works. In 1859 rock salt deposits were discovered in Middlesbrough by Henry Bolckow and Vaughan while boring for water and led to the move of the heavy chemical industry to Teesside. In 1860 William James established an alkali company at Cargo Fleet and in 1869 Samuel Sadler also set up a factory nearby. Sadler's works produced synthetic aniline and alzarine dyestuffs and distilled tar. The introduction of the Solvay Process to make alkali in 1872 made the Tyneside alkali industry uneconomic but it was a real boost to Teesside industry which was invigorated by the discovery of further salt deposits at Port Clarence near Seal Sands by Bell Brothers in 1874. Salt extraction for human consumption had taken place at Seal Sands since Roman times through the use of panning. This continued throughout the 20th century and left caverns which are now used as liquid/gas strorage facilities for the process industry. By 1882 a number of salt works were established at Haverton Hill in 1882 by the Bell Brothers. The company became the first firm to begin large scale salt production in Teesside, and necessitated that workers were brought in from Cheshire. The salt-making interests of Bell Brothers were bought by Brunner Mond & Co of Cheshire in 1890. Brunner Mond became a giant of Teesside chemical-making in the late 19th and early 20th centuries. Meanwhile, rationalization of chemical firms in 1891 left only four works on Tyneside. The Chemical Industry was established at Billingham in 1918 by the Government for the production of synthetic ammonia, with its intended use being the manufacture of munitions during the Great War. The 700 acre Grange Farm at Billingham was chosen for the site. However, by the time the plant opened the war was over and its manufacturing techniques outdated. It was taken over by Brunner Mond in 1920 and manufactured synthetic ammonia and fertilisers. Brunner Mond merged with other large scale chemical manufacturers in 1926 to form Imperial Chemical Industries (ICI). In 1928 anhydrite was mined from below Billingham for use in the making of sulphuric acid, a necessary component for the manufacture of detergents and fertilizers. Manufacturing of plastics commenced at Billingham in 1934. This was one of the earliest sites in the world where large-scale manufacture of these materials took place. Another chemical plant was established the following year to make oil and petrol from creosote and coal by a process called hydrogenation. In 1946 another large chemical works opened on Teesside at Wilton, on the south side of the River Tees. Further lands were purchased by ICI in 1962 at Seal Sands, where land had been reclaimed from the sea, becoming the third large-scale chemical manufacturing site on Teesside. Today all three Teesside chemical sites at Billingham, Wilton, and Seal Sands remain in use for large-scale chemical manufacture by the members of the Northeast of England Process Industry Cluster (NEPIC), and plastics and polymers continue to be manufactured there by Lotte Chemicals(PET), SABIC(HDPE), Victrex(PEEK) and Lucite International(Perspex). Nylon 66 manufacture ceased on Teesside in 2008 with the closure of the Invista manufacturing unit. Coke ovens used in the production of chemicals at Billingham were replaced in 1962 by plants using the steam naphtha process, which enabled the use of crude oil as feedstock for the process known as cracking. This proved to be a much cheaper way to produce ethylene, aromatics, petroleum derivatives and other chemicals such as ammonia. From 1964 to 1969 four large oil refineries were erected at the mouth of the Tees, two by Phillips Petroleum and one each by ICI and Shell. Their main purpose was to supply the Billingham chemical industry. A 138-mile (222 km) pipeline was built in 1968 for the transport of ethylene and linked chemical works on Teesside with chemical plants at Runcorn. Today the remaining oil refinery is operated by ConocoPhillips and two biorefineries which produce biodiesel and bioethanol as transport fuels, are operated by Ensus and Harvest Energy. SABIC operate the ethylene cracker and the aromatics plants, while the ammonia and fertiliser works are operated by CF Fertilisers. Salt-making in and around Greatham (between Hartlepool and Billingham) had been important in Roman and medieval times, and salt was also produced on Wearside from the 1580s, but by the 16th century the industry had been eclipsed by South Shields on the Tyne. In 1894 the industry returned to Greatham with the establishment of the Greatham Salt and Brine Company by George Weddell. The works was later purchased by the famous salt-making company Cerebos in 1903. By the mid-20th century, Cerebos was owned by the food conglomerate Rank Hovis McDougall, and the factory closed in 2002. During the 20th century the extraction of salt on the north bank of the River Tees by aqueous hydraulic means resulted in a number of underground salt cavities that are completely impervious to gas and liquids. Consequently, these cavities are now used to store both industrial gases and liquids by companies which are members of the Northeast of England Process Industry Cluster (NEPIC). Today the Huntsman Tioxide is based close to Greatham, operating one of the world's largest chemical plants for the manufacture of titanium dioxide which is the brilliant white pigment used in paints, Polo mints, cosmetics, UV sunscreens, plastics, golf balls and sports field line markings. Coal mining was one of the first industrial activities in Northeast England because the region was fortunate to have shallow seams of coal near the coast, which meant that material could be transported in and out by sea. This led to the growth of ports in Sunderland, Newcastle, Teesport Middlesbrough, Seaham, Hartlepool and Blyth. The energy from coal underpinned the development of many of the industries around these ports. As discussed in the classic historical review of "Victorian Cities" by Asa Briggs, Middlesbrough was developed as a port downstream of Yarm and Stockton to take bigger coal ships. The Northumberland-Durham coalfield was one of the earliest coal mining areas to be worked in the country, with the Romans extracting coal here which caused the area to become an important source of coal in the 13th and 14th centuries. Many current towns and villages across the region were originally settlements set up for the coal miners. For example, Seaham is a port community that was developed to handle output of the coal mining interests of Charles William Vane-Tempest-Stewart the 3rd Marquis of Londonderry, a military leader and business man who became one of the UK's richest men due to his coal mining developments. The Marquis built his business interests using the inherited wealth of his wife Francis Anne. The Marquis also built one of the country's finest country houses in the region as a palace for his family and his royal connections. It is called Wynyard Hall . London was one of the places which received coal from the area and there are references to shipments of coal being sent to the capital, for example 526 cauldrons of coal from Tyneside to London in 1376 for smiths involved in building Windsor Castle. Before the growth of mining companies the coal from the North East was often sent to London using monks. The coal was often called sea coal because it often washed up from undersea outcrops on the Northumbrian coast. This could explain the name Se-coles Lane in London. It also led to the colloquial phrase "taking coals to Newcastle", meaning why take something to a place that already has an excess of it. Improvements in technology meant equipment could be built to go deeper than ever before. One example was the High Main seam at Walker Colliery on Tyneside, which became one of the deepest coal mines in the world, thanks to large engine cylinders which helped drain the mine. Other mining developments from this region include water level and ventilation techniques introduced by John Buddle who also helped to introduce the miner's safety lamp which was invented here by Stephenson and Davy. Miners in the cage ready for their descent, Monkwearmouth Colliery, 1993. Sir Humphry Davy, after contemplating a communication he had received from Reverend Dr Robert Gray Rector of Bishopwearmouth (later Bishop of Bristol) regarding the problem of gas in mines, took up the challenge of solving the problem of providing light in "fire-damp" ridden collieries. He started the work with several days of discussions with John Buddle, the overseer at Wallsend Colliery, other colliery owners and finally the Reverend John Hodgson, Vicar of Jarrow. Davy also collected samples of "fire-damp" before returning to his laboratory in London. Two designs of his lamps emerged and were tested at the most hazardous pits in the country, then at Newcastle-upon- Tyne and Whitehaven in Cumberland, and were a resounding success. He later published his paper on "The safety lamp for coal mines and some researches on flame" in 1818, which made underground coal mines much more safe. George Stephenson a colliery engineer at Killingworth Main Colliery also invented a safety lamp which was successfully tested on 21 October 1815. This became known as the "Geordie" lamp. As a result, some in the Northeast then tried to challenge the delivery of some Ceremonial Plate to Davy but the Davy Lamper's won the day and on 25 September 1817 a dinner service as presented to Davy from the coal owners at the Queen's Head in Newcastle. Davy declined to take out a patent on his lamp design effectively giving it to the nation and the world's coal miners. The moment when the new safety lamp was first tested was recorded by John Buddle in a report from the Select Committee on Accidents in Mines on 4 September 1835 "I first tried the lamp in an explosive mixture on the surface; and then took it to the mine; it is impossible for me to express my feelings at the time when I first suspended the lamp in the mine and saw it red hot. I said to those around me: "We have at last subdued this monster [fire-damp]." With some describing it as one of the most significant moments in the industrialization of the world. As an example of the many coal mines (colloquially known as pits) that were created in the Northeast's Monkwearmouth Colliery (or Wearmouth Colliery) was a large deep pit that went out under the North Sea. It was located on the north bank of the River Wear and was the largest pit in Sunderland and one of the most important in County Durham. The mine opened in 1835 and was the last to remain operating in the Durham Coalfield, with the last shift leaving the pit on 10 December 1993 and ending over 800 years of commercial underground coal mining in the region. The Colliery site has been cleared to make way for the Sunderland A.F.C's Stadium of Light which opened in July 1997. The mine is commemorated by a large sculpture of a miners lamp at the entrance to the stadium. The Durham Coalfield remains a national resource for the UK economy today and for the future. Most of the mines in the region were closed during the years of UK Prime Minister Margaret Thatcher (see UK miners' strike (1984–1985)) however several large open cast coal mines are still operational in the region. Today companies like Five-Quarter are investigating the use of the latest technology for underground coal gasification to access the Durham Coalfield reserves. Professor Paul Younger of Newcastle University in 2011 reported that "Around 75 per cent of the coal in the North East is still underground, even though we have been mining it on an industrial scale longer than anyone else in the world. Previously a lot of this coal was too deep for conventional mining, or too far off shore. Even today this resource this could never be exploited by conventional means, but the technology to harness that resource has now become cost effective." Accessing these reserves is of particular importance to the local chemical industry. Before 1846 Walbottle, Elswick, Birtley, Ridsdale, Hareshaw, Wylam, Consett, Stanhope, Crookhall,Tow-Law and Witton Park all had iron works but the discovery of a rich seam of iron ore to the south of the region gradually drew iron and steel manufacture towards Teesside. In 1850 iron ore was discovered in the Cleveland Hills near Eston to the south of Middlesbrough and Iron gradually replaced coal as the lifeblood of Eston. The ore was discovered by geologist John Marley and first utilised by John Vaughan, the principal ironmaster of Middlesbrough who along with his German business partner Henry Bolckow had already established a small iron foundry and rolling mill using iron stone from Durham and the Yorkshire coast, with the new discovery prompting them to build Teesside's first blast furnace in 1851. Many more iron works followed, such as those built in the region by Losh, Wilson and Bell (see Sir Issac Lowthian Bell) who in 1853 were operating 5 furnaces in the region. The success of John Vaughan and Henry Bolckow's first blast furnace meant that by 1873 Middlesbrough was producing 2 million tonnes of pig iron a year. Iron was in big demand in Britain in the late 19th century, particularly for the rapid expansion of the railways. More and more blast furnaces were opened in the vicinity of Middlesbrough to meet this demand such that by the end of the century Teesside was producing about a third of the nation's iron output. Middlesbrough, which became known by its nickname "Ironopolis", was visited in 1862 by then prime minister William Ewart Gladstone who said "This remarkable place, the youngest child of England's enterprise, is an infant, but if an infant, an infant Hercules" By the 1870s steel, a much stronger and more resilient metal, was in big demand and Middlesbrough had to compete with Sheffield as the major producer. In 1875 Bolckow and Vaughan opened the first Bessemer Steel plant in Middlesbrough and the River Tees then become known as "The Steel River" leaving its old nickname "Ironopolis" behind. In 1881 Hugh Reid (Liberal politician) described how "The iron of Eston has diffused itself all over the world. it furnishes the railways of the world; it runs by neapolitan and papal dungeons; it startles the bandit in his haunt in cicilia; it crosses over the plains of Africa; it stretches over the plains of India. it has crept out of the Cleveland Hills where it has slept since Roman days, and now like a strong and invincible serpent, coils itself around the world"
By 1929 the great depression began to effect Britain and the famous name of Bolckow-Vaughan merged with neighbour Dorman-Long & Co. who then became Britain's biggest iron and steel maker and employed 33,000 people. In 1954 the post-war boom saw Dorman-Long build a state of the art steelworks at Lackenby and then new blast furnaces at Clay Lane. 1967 saw Dorman-Long become part of the nationalized British Steel Corporation as production boomed in Britain and in 1979 the largest blast furnace in Europe was erected at BSC's new Redcar plant. This plant which was subsequently acquired and operated by Chorus, Tata Steel and then Sahaviriya Steel Industries (SSI) who are still the plant operating today. The British Steel Collection, now housed at Teesside University, contains the records of over forty iron and steel companies based in the Teesside area of the North East of England and covers the period c. 1840–1970. The history of Teesside and its rapid growth during the 19th century is directly linked to the expansion of the railways from Darlington and Stockton towards the mouth of the Tees estuary and the subsequent discovery of ironstone in the Cleveland Hills which attracted iron companies to the area. The British Steel Collection archives the company records of iron and steel companies such as Bolckow & Vaughan, Bell Brothers, Cochrane & Co. Ltd., Dorman, Long & Co. Ltd., South Durham Steel & Iron Co. Ltd., Cargo Fleet Iron Company and Skinningrove Iron Co. Ltd. With records of associated institutions such as the Middlesbrough Exchange Co. Ltd. and the Cleveland Mineowners' Association also being preserved. Shipbuilding was once one of this region's largest industrial sectors. Ships were built on the River Wear at Sunderland from at least 1346 and on the River Tees at Stockton from at least 1470, with the Northeast of England more generally being the birthplace of some of the world's greatest vessels. This was recognised in 2013 with the regions shipbuilding heritage and global impact being recognized by UNESCO and placed on their Memory of the World Register, ranking the regions shipbuilding heritage alongside iconic items such as the Domesday Book in terms of historical importance. The early ships were built of wood but in the 19th century there was a move towards building ships of iron then steel. Ships were built across the region, especially along Tyneside in Jarrow and Wearside in Sunderland and also in smaller ports like Blyth, Whitby and Hartlepool. Sunderland's early development was due to coal but it later transitioned to become the largest shipbuilding town in the world giving the town its fame. The first recorded shipbuilder was Thomas Menville at Hendon in 1346. By 1790 Sunderland was building around nineteen ships per year making it the most important shipbuilding centre in the United Kingdom. By 1840 there were 65 shipyards such that over 150 wooden vessels were built at Sunderland in 1850. At this time 2,025 shipwrights worked in the town and some 2,000 others were employed in related industries. Sunderland's first iron ships were built from 1852 and wooden shipbuilding ceased here in 1876. Sunderland shipbuilders included Austin and Son, William Pickersgill and William Doxford. It was between 1790 and 1805 that Thomas Haw of Stockton began building ships for the Napoleonic wars. Shipbuilding did not begin in Middlesbrough until 1833 when a wooden sailing ship called The Middlesbro' was built. Teesside's first iron ship was built in Thorneby in 1854, it was a screw steamer called The Advance, and Teesside's first steel ship was Little Lucy built in 1858. One famous Teesside-built ship was the 377-foot (115 m) long Talpore, built by Pearse and Co of Stockton in 1860. It was a troop ship for the River Indus, and was the world's largest river steamer at the time. An archive of the ships built on Teesside has been created, In Hartlepool Thomas Richardson of Castle Eden and John Parkin of Sunderland established a shipyard at Old Hartlepool in 1835 and built The Castle Eden ship. The shipbuilding company of William Gray was established here in 1862 and Gray became one of the most influential men in the town. He was the first mayor of West Hartlepool in 1887. William Gray shipbuilders won the Blue Ribband prize for maximum output in 1878, 1882, 1888, 1895, 1898 and 1900. The yard closed in 1961. On Tyneside, Charles Mark Palmer, born in South Shields, established a yard at Jarrow in 1851 and built its first iron collier, The John Bowes, in the following year. It was the first ever seagoing screw collier and was built for John Bowes of Barnard Castle for shipping coal to London. Palmer was also famed for building the first rolled armour plates for warships in 1854. William Smith and Co launched the 1,600-ton Blenheim in 1848. W. G. Armstrong, the famous northern engineer, acquired an interest in the Tyneside shipbuilding firm of Mitchells in 1882, and the company of W. G. Armstrong, Mitchell and Co was formed. The yard built battleships as well as a ship called Gluckauf, which was arguably the world's first oil tanker. It was launched by the yard in 1886. Scotsman Charles Mitchell started building ships at Walker-on-Tyne in 1852 and purchased a 6.5-acre (2.6 ha) site at Wallsend in 1873 to soak up excess orders from his Walker shipyard. The new yard failed financially and was handed to his brother-in-law Charles Swan. Charles and his brother Henry were directors of the Wallsend Slipway Company, a repair yard established by Mitchell in 1871. In 1878 Charles arranged a partnership with Sunderland shipbuilder George Hunter, but in 1879 Charles died after falling overboard from a channel steamer whilst returning from the Continent with his wife. Hunter went into temporary partnership with Swan's wife before becoming Managing Director in 1880. Swan Hunters built their first steel ship at Wallsend in 1884 and their first oil tanker in 1889. Most early ships built at the Swan Hunter yard were smaller, like colliers and barges, but in 1898 it built its first ocean liner, Ultonia, with a further 21 liners being built between 1898–1903. The most famous ship ever launched there was undoubtedly Mauretania, a transatlantic ocean liner that launched on 20 September 1906. The ship was 790-foot (240 m) long, with a Beam (nautical) of 88 ft (27 m) and a gross register tonnage of 31,938 tons. It carried 2,000 passengers on its maiden voyage on 16 November 1907 and won the Blue Riband for the fastest crossing of the Atlantic, a record held for 22 years. A major pioneering innovation in marine engineering was the steam turbine, invented by Charles Algernon Parsons. He patented the first steam turbine on Tyneside in 1884. Parsons, born in Ireland in 1854, was the youngest son of the Earl of Rosse and a keen inventor, who was a junior partner in the Tyneside engineering firm of Clarke Chapman. In 1894 Parsons' Marine Turbine Company launched Turbinia, the first ship to be powered by electric turbines. She can be still be seen (and boarded) at the Discovery Museum in Newcastle upon Tyne. Shipyard closures in the 20th century took place during economic slumps and occurred in two phases, between 1909–1933 and 1960–1993. Early closures included Smiths Dock at North Shields in 1909, which became a ship repair yard, Armstrongs of Elswick in 1921, Richardson Duck of Stockton (1925), Priestman's of Sunderland (1933) and Palmers of Jarrow and Hebburn (1933). There were 28 North East closures in this period of which 14 were on the Tyne, 7 on the Wear, 6 on the Tees and 1 at Hartlepool. Six shipyards closed in the 1960s including W.Gray of Hartlepool (1961), Short Brothers of Sunderland (1964) and The Blyth Shipbuiding Company (1966). There were five closures in the region in the 1970s including the Furness yard at Haverton Hill, near Stockton, in 1979. James Cook, portrait by Nathaniel Dance-Holland circa 1775, National Maritime Museum, Greenwich. 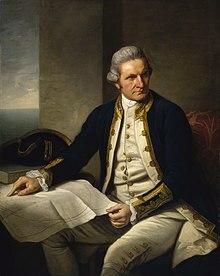 The region was home to Captain James Cook, who sailed his ship (HMS Endeavour) from Whitby to discover and name for the western world the antipodean continents and islands as well as many islands in the Pacific Ocean. The coal and shipbuilding industry that once dominated the North East suffered a marked decline during the second half of the 20th century. Tyneside is now re-inventing itself as an international centre of art, culture and through The Centre For Life, scientific research, especially in healthcare and biotechnology. Newcastle University is now a leading institution in the development of stem cell technology being the first in the United Kingdom and the second institution in Europe to obtain a licence to do such work. As with the rest of the region, Sunderland suffered economic decline during the last century, but is now becoming an important area for quaternary industry, bioscience, computing and high tech industries. The economy of Sunderland is now dominated by the Nissan's European car manufacturing facility and supply chain which is also leading that company's development of electric vehicles. The economy of Teesside continues to be largely based on the petrochemical, commodity chemical and steel industries that form a significant part of the Northeast of England Process Industry Cluster (NEPIC), but newer industries such as offshore engineering and digital computing, particularly in the field of Game design, have emerged from Teesside University. Northumberland, although largely rural and an important tourist location with its castles, beaches, and history has a nationally significant concentration of pharmaceutical manufacturing companies around Cramlington and Prudhoe. The county has also seen a huge investment into the creation of the UKs largest reservoir, Kielder Water, enabling the Northeast to attract more industry. Kielder forest around the reservoir is known to have the darkest night sky in England, making it an ideal location for both professional and amateur astronomers. The City of Durham with its highly regarded University, Castle and Cathedral attracts many tourists and also a significant number of knowledge intensive businesses (KIBS) in architecture, engineering, technology and measurement science. At Sedgefield in County Durham, Netpark is home to the Centre for Process Innovation's Printable Electronics Technology Centre, a nationally important centre for the development of printed electronics and a number of other emerging electronics companies such as Kromek. Today, the members of the Northeast of England Process Industry Cluster (NEPIC) represent about one third of the regional industrial economy. The NEPIC is constituted by commodity chemical, petrochemical, speciality chemical, pharmaceutical, biotechnology, polymer, renewable material and renewable energy companies and the associated supply chains. The Teesside industry is located on three large chemical sites at Wilton, Billingham and Seal Sands at the mouth of the River Tees and Teesport, the third largest port in the UK and the tenth in Western Europe and is important logistical infrastructure supporting the commodity chemical and steel members of NEPIC. In the 21st century PD Ports, owners of Teesport, have been developing it as a Port Centric Logistical Centre. This strategy has seen a number of significant importing and distribution facilities for the north of the UK being built here, including distribution centres for the distribution operations of Asda/Walmart and Tesco supermarket chains. NEPIC has two offices in the region: one in the north in Sunderland, serving the pharmaceutical and speciality chemical industries on Tyneside and in south Northumberland, and one in the south at Wilton near Redcar, serving the commodity chemical and steel industry of Teesside and operating amongst several process sector and supply chain companies that work out of the process industry research centre, The Wilton Centre, one of Europe's largest technical development laboratory facilities. The head office of the Centre for Process Innovation, part of the UK's High Value Manufacturing Catapult, is based in this multi-occupancy technical development centre along with their pioneering National Industrial Biotechnology Facility. The friction match was invented in Stockton-on-Tees in 1826 by John Walker. George Stephenson (9 June 1781 – 12 August 1848) was an English civil engineer and mechanical engineer who built the first public inter-city railway line in the world to use steam locomotives. Renowned as the father of railways George Stephenson was born in Wylam, Northumberland, 9.3 miles (15.0 km) west of Newcastle upon Tyne. Sir Joseph Wilson Swan (31 October 1828 – 27 May 1914) was a British physicist and chemist from Sunderland, County Durham now the (City of Sunderland). He is most famous for inventing an incandescent light bulb before its invention by the American Thomas Edison. Swan first demonstrated the light bulb at a lecture the Literary and Philosophical Society and Miners Institute on Mosley Street, Newcastle upon Tyne on 18 December 1878. Mosley Street, Newcastle upon Tyne is reputed to be the first street in the world to be lit by electric light. Charles Algernon Parsons invented the steam turbine in 1884, and having foreseen its potential to power ships he set up the Parsons Marine Steam Turbine Company with five associates in 1893. To develop this he had the experimental vessel Turbinia built in a light design of steel by the firm of Brown and Hood, based at Wallsend on Tyne. He also pioneered in the field of electricity generation, establishing the Newcastle and District Electric Lighting Company in 1889. The company opened the first power station in the world to generate electricity using turbo generators in 1890, at Forth Banks in Newcastle. William George Armstrong, 1st Baron Armstrong, CB, FRS (26 November 1810 – 27 December 1900) was an effective Tyneside industrialist who founded the Armstrong Whitworth manufacturing empire. He was responsible for the development of the hydraulic crane and many military armaments. His house at Cragside, Northumberland was the first in the world to be lit by hydro-electricity, using incandescent lamps provided by the inventor Joseph Swan. In 1936 the first commercially viable production of acrylic safety glass, Perspex, began by ICI Acrylics and the material is still manufactured in the region by Lucite International now part of Mitsubishi Corporation. During the Second World War acrylic glass was used for submarine periscopes, windshields, canopies, and gun turrets for airplanes. Shortages in raw materials and price pressures have led to innovation by Lucite who developed their patented Alpha Technology in this region. This technology is now the leading technology used in the manufacture of acrylics around the world. It uses new feedstock's and has a cost advantage of 40% over conventional processing methods. Newcastle University was the first in the UK and the second in Europe to receive a licence to perform research on stem cells and is a leading centre for such research today. Dr Karim Nayernia was the first to isolate spermatagonial stem cells at this University. Many new healthcare developments have arisen from this stem cell expertise in the region. Today the region has five universities with a number of research departments: Durham University, Newcastle University, Northumbria University, University of Sunderland and Teesside University, which have a portfolio of many innovative businesses that have spun out of their research and teaching departments. Businesses in Northeast England are supported by a chamber of commerce. The Northeast Chamber of Commerce (NECC)is based in Durham and has active sub committees working in all sub regions. To further encourage SMEs in the North East of England to Export, the Northeast Process Industry Cluster (NEPIC) has collaborated with the Northeast Chamber of Commerce (NECC) and RTC North Limited to create a jointly owned subsidiary company Go Global Limited to manage the contract they have to deliver the United Kingdom Trade & Investment (UKTI), Government funded, support products and programme for all business sectors in their region. The UKTI business support products, to help grow international trade, are focused on supporting individual SMEs to grow their exports and they also support Trade Missions to new markets. The Northern Business Forum is an organisation created in the region to share knowledge and best practice between membership based business support organisations in the Northeast of England. The Forum creates a single voice for business when this is needed. This business led forum also links its member organisations to wider business issues, both locally and nationally, through the local and national business membership organisations that are also represented. Members of the forum include NECC, NEPIC, the Federation of Small Businesses (FSB), Confederation of British Industry (CBI)North East, the Engineering Employers Federation Northern (EEF), The Institute of Directors (IOD), The North East Chamber of Commerce (NECC),Service Network, RTC North and NEPIC. The Association of North East Councils (ANEC) are amongst the observers of the forum. RTC North provide business expertise in specific growth areas such as product innovation, market research, technology transfer, commercialisation, business growth. North East Access to Finance (NEA2F) operates a business growth fund to help small and medium-sized businesses (SMES). The North East Enterprise Zone, initiated by the North East Local Enterprise Partnership, was announced by the government in 2011. The zone focuses on technology for low carbon vehicle development, marine offshore and subsea engineering, petrochemicals and renewable energy. At the time of announcement the enterprise zone included two clusters of sites, an Ultra Low Carbon Vehicle zone in Sunderland and a zone on the River Tyne North Bank. The Sunderland cluster is close to the Nissan plant and includes Turbine Business Park. It hosts Gateshead College's Future Technology Centre. The cluster on the Tyne includes the Port of Tyne North Estate, Swan Hunter in North Tyneside, and Neptune Yard in Newcastle. The zone was launched in April 2012. In that year another cluster of sites, comprising the Blyth Estuary Renewable Energy Zone at Port of Blyth, was added to the zone. The enterprise zone contains ten sites over the three clusters, covering 115 hectares (280 acres) in total. There is also an enterprise zone in Teesside, the Tees Valley Enterprise Zone. Teesport on the River Tees is the third biggest port in the country in terms of tonnage shipped, largely due to the local steel and chemical industries. Imperial Chemical Industries (ICI) operated here until the late 1990s on three chemical sites at Wilton, Billingham and Seal Sands. ICI was broken up, and its many chemical manufacturing units are now operated by a large number of companies that have acquired its assets. The Centre for Process Innovation (CPI), a national innovation catapult[clarification needed], is based at the Wilton Centre, the former corporate headquarters of ICI, which has become a multi-company research and development centre: along with CPI there are now some 60 other companies, including the cluster body NEPIC, using these R&D and business development facilities. This centre is now one of Europe's largest R&D facilities focusing on developments in the chemistry-based process industries. The area is a chemicals processing area, but recently it has diversified to become the UK's leading site for renewable biofuel research. This industrial activity is taking place in a collaborative environment facilitated by the economic cluster body, the North East of England Process Industry Cluster (NEPIC). Hartlepool has a nuclear power station, and there is a conventional CHP power station and a biomass power station operated by Sembcorp on the Wilton chemical site.Hereema Fabrication Group make North Sea platforms at the A1048/A179 roundabout in Hartlepool. Wilton Engineering's 50 acre fabrication and maintenance site is in Port Clarence. Barker and Stonehouse make furniture north of Middlesbrough next to the A66/A178 junction, and PD Ports, who own Teesport, the third biggest port in the UK, is headquartered in Middlesbrough adjacent to Middlesbrough railway station. The Teesside Steelworks near Redcar has the biggest blast furnace in Europe and is operated by Sahaviriya Steel Industries (SSI). Tata Steel Europe operate a pipe works at Hartlepool, a heavy beam mill near Middlesbrough and a special sections mill at Skinningrove Steelworks. Able UK operate the biggest dry dock in the UK near Seaton Carew, Hartlepool where ships can be dismantled and oil rigs can be dismantled or refurbished. The many chemistry-based businesses on Teesside include Huntsman Tioxide plant at Greatham makes titanium dioxide. Huntsman's European headquarters are in Wynyard. Johnson Matthey Catalysts and Fujifilm Dyosynth Biologics have manufacturing units in Billingham while the Lucite International Acrylics factory and the Mitsubishi battery chemical plant are on the other side of the town. Exwold Technology operate their two extrusion and packaging facilities in Hartlepool. Banner Chemicals are adjacent to the A66 in Middlesbrough. Aldous Huxley's visit to the former ICI plant in Billingham inspired Brave New World and this unit now makes fertiliser for Growhow, using 1% of the UK's natural gas. SABIC perochemicals and polymers, Lotte Chemicals PET and PTA plants, Biffa recycled polymers, Huntsman polyurathanes and the Ensus Biofuels all operate at Wilton. ConocoPhillips refinery, BP Cats, Harvest Energy Biodiesel unit, Greenery Fuels, Fine Organics, Vertelus speciality chemicals and Ineos Nitriles are all based at Seal Sands, with Vopak and Simon Storage tank storage businesses nearby. Air Products are building[when?] two waste to energy units at Seal Sands, and Sita are upgrading[when?] their unit at Haverton Hill. Marlow Foods produce Quorn, and KP Snacks make McCoy's Crisps in Billingham. Santander UK's mortgages division is located in Thornaby-on-Tees. Tetley Tea have had their only tea bag factory in the UK at Eaglescliffe, in the borough of Stockton-on-Tees, since 1969. It is the largest tea bag factory in the world and makes 18 billion tea bags a year. Its distribution centre is at nearby Newton Aycliffe in County Durham. Offshore Group Newcastle make oil platforms. Sage Group, who produce accounting software, are based at Hazlerigg at the northern end of the Newcastle bypass. Northern Rock, which became a bank in 1997 and was taken over by Virgin Money in November 2011, and the Newcastle Building Society are based in Gosforth. The Gosforth-based bakery Greggs now has over 1,500 shops. The Balliol Business Park in Longbenton contains Procter & Gamble research and global business centres and a tax credits call centre for HMRC, and is the former home of Findus UK. The Government National Insurance Contributions Office in Longbenton, demolished and replaced in 2000, had a 1 mile (1.6 km) long corridor. Be-Ro and the Go-Ahead Group bus company are in central Newcastle. Nestlé use the former Rowntrees chocolate factory on the east of the A1. BAE Systems Land & Armaments in Scotswood, formerly Vickers-Armstrongs, is the main producer of British Army tanks such as the Challenger 2. A Rolls Royce apprentice training site is next door. Siemens Energy Service Fossil make steam turbines at the CA Parsons Works in South Heaton. Sir Charles Parsons invented the steam turbine in 1884, and developed an important local company. Domestos, a product whose main ingredient is sodium hypochlorite, was originated in Newcastle in 1929 by William Handley, and was distributed from the area for many years. Rotary Power make pumps at St Peter's on the Tyne. Clarke Chapman is next to the A167 in Gateshead. The MetroCentre, the largest shopping centre in Europe, is in Dunston. 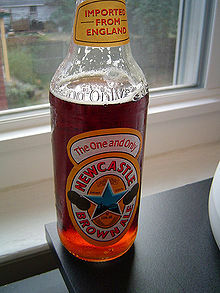 Scottish & Newcastle was the largest UK-owned brewery until it was bought by Heineken and Carlsberg in April 2008, and produced Newcastle Brown Ale at the Newcastle Federation Brewery in Dunston until production moved to Tadcaster in September 2010. At Team Valley are De La Rue, with their largest banknote printing facility, and Myson Radiators, the second largest in the UK market. Petards make surveillance equipment including ANPR cameras, and its Joyce-Loebl division makes electronic warfare systems and countermeasure dispensing systems such as the AN/ALE-47. Sevcon, an international company formed from a part of Smith Electric, is a world leader in electric vehicle controls. AEI Cables and Komatsu UK construction equipment at Birtley. J. Barbour & Sons make outdoor clothing in Simonside, Jarrow. SAFT Batteries make primary lithium batteries on the B1344 on the Tyne. Bellway plc houses is in Seaton Burn in North Tyneside. 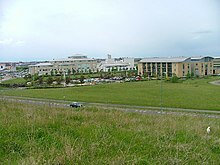 Cobalt Business Park, the largest office park in the UK, is at Wallsend, on the former site of Atmel, and is the home of North Tyneside Council. Swan Hunter until 2006 made ships in Wallsend, and still designs ships. Soil Machine Dynamics in Wallsend on the Tyne makes Remotely operated underwater vehicles, and its Ultra Trencher 1 is the world's largest submersible robot. The car dealership Evans Halshaw is in Sunderland. 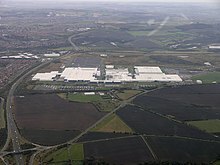 The car factory owned by Nissan Motor Manufacturing UK between North Hylton and Washington is the largest in the UK. Grundfos, the world's leading pump manufacturer, builds pumps in Sunderland. Calsonic Kansei UK, formerly Magna, make automotive instrument panels and car trim at the Pennywell Industrial Estate. Gestamp UK make automotive components. Smith Electric Vehicles originated in Washington. The LG Electronics microwave oven factory opened in 1989, closed in May 2004, and later became the site of the Tanfield Group. Goodyear Dunlop had their only UK car tyre factory next to the Tanfield site until its 2006 closure. BAE Systems Global Combat Systems moved to a new £75 million factory at the former Goodyear site in 2011, where they make large calibre ammunition for tanks and artillery. The government's child benefit office is in Washington. Liebherr build cranes next to the Wear at Deptford. The outdoor clothing company Berghaus is in Castletown. Vaux Breweries, who owned Swallow Hotels, closed in 1999. ScS Sofas are on Borough Road. There are many call centres in Sunderland, notably EDF Energy at the Doxford International Business Park, which is also the home of the headquarters of the large international transport company Arriva and Nike UK. Rolls Royce plan to move their production of fan and turbine discs to BAE Systems' new site in 2016. Ashington has the Alcan Lynemouth Aluminium Smelter, next to the Lynemouth Power Station. Hammerite and Cuprinol are made in Prudhoe by ICI Paints. A Procter & Gamble factory in Seaton Delaval makes Hugo Boss aftershave and Clairol and Nice 'n Easy hair dye at a site formerly owned by Shultons, who originated Old Spice and were bought by P&G in 1990. McQuay UK makes air conditioning systems on the Bassington Industrial Estate at the A1068/A1172 junction in Cramlington, and Avery Dennison UK make labels on the Nelson Industrial Estate off of the A192. Schweppes' Abbey Well mineral water, the official water of the London 2012 Olympic Games, is made by Coca-Cola in the east of Morpeth. The National Renewable Energy Centre (Narec) is at Blyth. Phileas Fogg snacks are made by the United Biscuits subsidiary KP Snacks in Consett on the Number One Industrial Estate. Nearby CAV Aerospace make ice protection systems for aircraft. Thomas Swan, an international chemicals company, is in Crookhall. The Explorer Group, who own Elddis, make caravans at Delves. The LG Philips Displays cathode ray tube factory at Carrville, Durham was the second largest employer in the north east after Nissan, before the company went bankrupt in 2006. Northumbrian Water is in Pity Me, Framwellgate Moor. Esh Group is a large construction company based south of Durham in Bowburn. Schmitz Cargobull UK is the UK's biggest trailer manufacturer, notably for refrigerated trailers, and is based at Harelaw near the Pontop Pike mast. Black & Decker and Electrolux had large factories at Spennymoor, but moved production overseas. Thorn Lighting of the Zumtobel Lighting Group are on the Green Lane Industrial Estate at Spennymoor. Since 2007 RF Micro Devices (RFMD) have made electronic wafers on the Heighington Lane Business Park at Newton Aycliffe, on the site formerly owned by Fujitsu. Slightly to the north, TKA Tallent make automotive axles and chassis components. 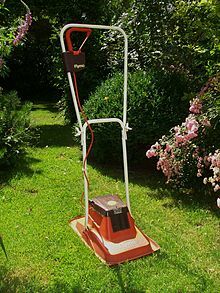 Husqvarna-Flymo, formerly owned by Electrolux, are on the Aycliffe Industrial Estate, where the world's first hover mower was built in 1965. In West Auckland, Potters Europe make road reflectors. GlaxoSmithKline has a site at Barnard Castle that makes pharmaceuticals. NSK make ball bearings on the North West Industrial Estate at Peterlee, and GWA International subsidiary Gliderol UK build garage doors. Mecaplast Group UK produce automotive components on the Low Hills Industrial Estate in Easington Village near Peterlee. Reckitt Benckiser make cough syrup and indigestion remedies at Shotton, near Peterlee until 2014. Walkers Crisps have a site north of Peterlee. Darlington stayed relatively un-industrialised throughout the 20th century, with finance and manufacturing as the main elements of its economy. Darlington today is recognised primarily for its railways, as the first steam-hauled public passenger railway in the world was constructed through the town. Cleveland Bridge & Engineering Company, which is responsible for the Sydney Harbour Bridge and Tyne Bridge, is still based in Darlington. The Orange mobile network provider, Argos and Aldi, and the American engineering company Cummins all have sites in Darlington. The town centre continues to develop into a successful retail hub for the region, and a large new £110m shopping centre, 'The Oval', is under construction. The national safeguarding authority has set up its national office here. The Student Loans Company has begun operations in Lingfield Point, and Magnet Kitchens is in Lingfield east of town. A precursor of modern football is still seen in the region at some annual Shrove Tuesday games at Alnwick, Chester-le-Street and Sedgefield and many of such games have pre-Norman origins. In 1280 at Ulgham near Morpeth Northumberland, records show that Henry of Ellington was killed playing football when David Le Keu's knife went into Henry's belly and killed him. Organised football teams as we know today did not appear until the 1870s. Middlesbrough Football Club was formed by local cricket players in 1876 and Sunderland Association Football Club in 1879 and Newcastle United Football Club was formed in 1892 by uniting Newcastle West End FC with Newcastle East End. Darlington formed in 1861 (re-formed 1883 and in 2012) and West Hartlepool of 1881 became Hartlepool United in 1908. In 1888 Sunderland and Middlesbrough were troubled by rival break-away teams called Sunderland Albion and Middlesbrough Ironopolis, both of which were lost before the 20th century began. Sunderland won the league championship three times in the 1890s and Newcastle United were first division champions three times in the early 1900s, reaching the FA Cup Final three times before winning it at the fourth attempt in 1910. Today top quality professional football remains in the northeast of England. In 2017 - 18 season Newcastle United is a Premier League team, whilst Middlesbrough and Sunderland are in the Football League Championship, Hartlepool and Gateshead FC compete in the National League. St James' Park in Newcastle, the Stadium of Light in Sunderland and The Riverside Stadium in Middlesbrough are all first class football venues often used for international games at all levels. Amateur and semi-professional football clubs like Bishop Auckland and Blyth Spartans A.F.C. have had success and public attention through Football Association Cup runs, but the most famous achievement was by West Auckland Town FC in 1910: they were invited to take part in a competition in Italy to compete for what was then labelled the soccer World Cup. West Auckland won the competition against some of Europe's biggest sides; they defeated the mighty Juventus 2-0 in the final. They even successfully defended the title the following year. The first world cup trophy played for in these tournaments, Sir Thomas Lipton Trophy, has an interesting history of its own. In January 1994 the trophy, which was being held in West Auckland Working Men's Club, was stolen and never recovered. An exact replica of the original trophy was commissioned and is now held by West Auckland FC. The story of West Auckland's success was made into a film called "A Captain's Tale", starring actor Dennis Waterman as club captain Jones. Players from some of the region's minor league teams have gone on to influence football on the world stage. Jack Greenwell (John Richard Greenwell), an ex-coal miner who played non-league football for Crook Town A.F.C. from 1901 to 1912, went to Spain and played 88 games for Barcelona before becoming their manager in 1917. Mr Greenwell's achievements at Barcelona include winning five Catalan championships and two Copas del Rey. He also managed Espanyol, Mallorca and Valencia. On the outbreak of the Spanish Civil War, he moved to South America to manage the Peruvian and Colombian national teams; he died in 1942 in Bogotá. There are many notable footballers from the Northeast of England. Sunderland's Alf Common became the world's first £1,000 player when he was signed by Middlesbrough in 1905. 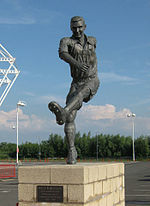 Other pre Second World War and immediate post war greats were Charles Buchan, who created and edited the iconic magazine "Football Monthly", George Camsell, Hughie Gallacher, Wilf Mannion, Raich Carter, Bob Gurney all of whom are described in a famous book by the "Clown Prince of Football" Len Shackleton. Mr Shackleton's book shot to immediate fame and caused a storm when first published because chapter 9, named "The Average Director's Knowledge of Football", was produced as a blank page. Local Heroes after the Second World War included Joe Harvey, Jackie Milburn, Brian Clough and Newcastle's Bobby Moncur who led his team to win the Inter City Fairs Cup in 1969. Perhaps the two most significant English players to come from this region are Bobby Charlton and Jackie Charlton who learnt their early football after being born and raised in the coal mining town of Ashington. They were incidentally related to Jackie Milburn who was their uncle. Bobby joined Manchester United and Jackie Leeds United both contributing much to the success and history of their respective clubs. They both became permanent fixtures in Alf Ramsey's 1966 England World Cup winning team. Malcolm Macdonald was a successful Newcastle player of the 1970s, goalscorers like McDonald often attract fame but Sunderland goalkeeper Jim Montgomery's double save, which helped Sunderland then a second Division club, beat at that time an all conquering Leeds United team to win the 1973 FA Cup Final by an Ian Porterfield goal, is an incident that is frequently and fondly recalled. Great players of the 1980s and 1990s include local born internationals like Peter Beardsley, Paul Gascoigne, Chris Waddle and Alan Shearer. Shearer remains the highest scoring player in Premier League history with 260 goals in 441 appearances. In the early 2000s Middlesbrough also joined the top clubs in English Football and played for a number of years in the Premier League and winning the League Cup in 2004. The Brazilian "Juninho Paulista" was an influential player for Middlesbrough during their time in the top flight, a time when the Middlesbrough football academy became famous for producing a number of young top flight players such as Stewart Downing, James Morrison, Lee Cattermole, Adam Johnson  and, more recently, Ben Gibson. Early races were mentioned in 1613 at Woodham near Aycliffe and were held at Newcastle's Killingworth Moor from 1632 before moving to the Town Moor. The 'Pitmen's Derby' or Northumberland Plate was held from 1833 and moved to Gosforth in 1882. Georgian races were held at places like Barnard Castle, Bishop Auckland, Blaydon, Chester-le-Street, Darlington, Durham, Gateshead, Hebburn, Heighington, Lanchester, Ryton, Sedgefield, South Shields, Stockton-on-Tees, Sunderland, Tanfield, Whickham and Witton Gilbert. A 1740 Act banned smaller meetings but some meetings like Durham survived into the late 19th or early 20th centuries. Modern day horse racing is still popular and regular events still take place at Redcar, Newcastle and Sedgefield Race Courses. The Blaydon Races, a popular musical hall song first sung by Geordie Ridley at Balmbra's Music Hall in Newcastle in 1862, gives an idea of some of the characters attending the old meetings. These races were held on an island in the middle of the Tyne and were last held on 2 September 1916. A riot broke out after the winning horse was disqualified, and the event was discontinued. It is remembered in the famous English folk song The Blaydon Races, and the event and its characters are vividly depicted in William Irving's 1903 painting. 'The Blaydon Races – A Study from Life' which is on show at the Shipley Art Gallery in Gateshead. Golf is a Scottish import to many countries but it is said to have been played in this region by St Cuthbert on the dunes of the Northumberland coast. The oldest club in Northeast England was Alnmouth founded in 1869 – the fourth oldest in the country and is now Alnmouth Village Club and an interesting 9 hole links course. There are three fine old links courses in this region at Seaton Carew, Goswick and Redcar. The first golf course appeared in County Durham in 1874 at Seaton Carew Golf Club near Hartlepool. It was to become the only course in the whole of the counties of Durham and Yorkshire and was originally called the Durham and Yorkshire Golf Club and reference to this today remains in the Club's badge. Seaton Carew is the 10th oldest Golf Club in England. The Club was set up by a newly qualified surgeon from Edinburgh, who played at Musselburgh, when he realised there was nowhere for him to continue to practice his passion for the game. This was Dr. Duncan McCuaig, who had moved down to Teesside shortly after qualifying at University of Edinburgh. His memory can be recalled when one plays the third hole, a challenging par 3, named "The Doctor". Over the years some of the finest golfers in the country have played the links at Seaton Carew, including the legendary "Great Triumvirate" of Golf Harry Vardon, John Henry "J H" Taylor and James Braid and several other Open Champions. Seaton Carew Golf Club is regular host to top amateur golf competitions. Golf England's Brabazon Trophy was held at this Club in 1985 and the winner, Peter Baker, went on to Ryder Cup and European Tour success after sharing this amateur title with the North East's Roger Roper (Roper famously turned professional at the age of 50 in 2007 to compete on the Seniors Professional Tour.) The 2013 US Open Champion Justin Rose talked glowingly about Seaton's undulating links course when in 1966 he came second behind the then amateur, now established tour professional Graeme Storm from Hartlepool, in the Carris Trophy (the Boys' equivalent to the Brabazon Trophy). In June 2014, The Brabazon Trophy tournament returned to Seaton Carew and in line with the illustrious outcomes for past winners on this course a bright future is predicted for the winner Ben Stow from Wiltshire. Stow equalled the course record on the final day with a "birdie" on the final hole to win the Barabzon Trophy by one shot. Goswick near Berwick on Tweed is a James Braid design masterpiece which is widely acknowledged as a classic Northumberland links Golf course, so much so, that the Royal and Ancient Golf Club (R&A) chose Goswick as a regional qualifier for the Open Championship for five years from 2008. At Redcar on Teesside, the Cleveland Golf Course of 1887 is the oldest in Yorkshire. The Tyneside Golf Club at Ryton dates from 1880 but there may have been earlier courses in the region. During the English Civil War of 1642–1651, King Charles played 'Goff' in the Shield Fields of the suburb of Pandon near Newcastle during his imprisonment in the town. Today inland golf courses are abundant in the northeast of England, Middlesbrough's Brass Castle Golf Club and Brancepeth Golf Club being two excellent examples from many but those new courses created in the late 20th and early 21st centuries at Wynyard, Rockciffe Hall, Slalely Hall and Close House have rapidly gained an international reputation and regularly hold professional events such as the Seve Trophy and the Seniors Tour. The region has two professional golfers who are currently prominent in many professional golf tour events: Kenny Ferrie from Ashington and Graeme Storm from Hartlepool have both won events on the prestigious European Tour. The largest corporate golf day in the United Kingdom is held annually each September by the members of the Northeast of England Process Industry Cluster (NEPIC) when 180 golfers play both the Slaley Hunting and Priestman courses simultaneously, after a shot gun start. Cricket has long been a popular sport in the Northeast of England and is said to date back to Elizabethan times. Yorkshire County Cricket Club was formed in 1863 and Durham County Cricket Club in 1882. After many years of success in the Minor Counties Championship, Durham joined Yorkshire in the senior counties championship in 1992. The Riverside cricket stadium, the home of Durham County Cricket Club in Chester-le-Street, in full view of Lumley Castle, is now one of the most picturesque cricket venues in the UK. This venue now regularly hosts international cricket; its first "Ashes" Test Match between England and Australia was in August 2013. With 320 runs and 15 wickets on the last day of the match, the venue provided "the most high-octane day of a thrilling Test match", and England took an unassailable 3-0 lead against the Australians in the five-match Ashes Test series. Athletics is a sport of rising popularity since the olympic and international success of Northeast athletes Brendan Foster in the 1970s and Steve Cram in the 1980s. Both won international medals and broke world records in middle and long distance running. Brendan Foster established the annual Great North Run, one of the best known half marathons in which thousands of participants run from Newcastle to South Shields. Brendan Foster, a former school teacher in this region, is also recognised as the driving force behind the creation of the Gateshead International Athletics Stadium which now regularly hosts International Athletics meets and other sporting events. In 2013 the 33rd Great North Run had 56,000 participants most of whom were raising money for charity. The elite races had Olympic gold medalists and world champion long distance runners participateing including in the men's race, Mo Farah, Kenenisa Bekele and a regular supporter of the event Haile Gebrselassie. Ethiopian Bekele won the men's event just ahead of Farah. Kenya's Priscah Jeptoo came first the women's race and multi Olympic gold medalist David Weir won the wheelchair event. The founder of the event, Brendan Foster is reported to be looking forward to 2014 when the Great North Run have its millionth finisher – becoming the first International Athletics Association Event (IAAF) event in the world to reach such a milestone. The 2014 Great North Run did indeed make history with olympic gold medal and UK athletics star Mo Farah winning the men's race in a new personal best of just 1 hour. He was challenged all the way but he held off strong competition from Kenya's Mike Kigen. The millionth finisher of the race was a mum-of-two and grandma-of-two Tracey Cramond of Darlington. 51 year old Tracey ran the race to raise funds for the local Teesside charity Butterwick Hospice. The Association of North East Councils, and before 2009 the North East Assembly, is based in central Newcastle upon Tyne. The region was created in 1994 and was originally defined as the non-metropolitan counties of Northumberland, County Durham and Cleveland, along with the metropolitan county of Tyne and Wear. A reform of local government abolished Cleveland and created several unitary districts, as detailed in the above table. In November 2004 a referendum on whether a directly elected regional assembly should be set up for North East England resulted in a decisive "no" vote. The number of people who voted against the plans was 696,519 (78%), while 197,310 (22%) voted in favour. John Prescott, the Deputy Prime Minister at the time, admitted that his plans for regional devolution had suffered an "emphatic defeat". Bernard Jenkin, the Conservative spokesman for the regions, said the vote would mean the end of plans for a North East Assembly. He told the BBC: "The whole idea of regional government has been blown out of the water by this vote". The North East Combined Authority was established in 2014 and covers much of the region, except for the Tees Valley boroughs of Darlington, Hartlepool, Stockton-on-Tees, Redcar & Cleveland, and Middlesbrough. These instead established the Tees Valley Combined Authority in 2016. The region has a diverse landscape that includes maritime cliffs and extensive moorland that contains a number of rare species of flora and fauna. Of particular importance are the saltmarshes of Lindisfarne, the Tees Estuary, the heaths, bogs and traditional upland hay meadows of the North Pennines, and the Arctic-alpine flora of Upper Teesdale. The beauty of the Northumbrian coastline has led to its designation as an area of outstanding natural beauty (AONB) stretching 100 miles from Berwick-Upon-Tweed to the River Coquet estuary. Among the 290 bird species identified on the Farne Islands, is the rare seabird the roseate tern. One of the foremost bird sanctuaries and observatory for migratory and wading birds in the UK is now operated at "Saltholme" which is part of a wider site of special scientific interest called Seal Sands. The Saltholme reserve is managed by the Royal Society for the Protection of Birds(RSPB). This project has been pronounced as one of the best places to view birds by Bill Oddie, the celebrity bird watcher and former host of the BBC's Spring Watch Programme. In December 2012 he also presented the project with a prize as the UK's favorite National Lottery funded project. The seal colony at Seal Sands on the mouth of the River Tees is thriving and stands at more than 60 harbour seals and this is the only breeding colony of this species on the northeast coast. "Rainton Meadows" is also a recently created bird-watching site. The region is also the English stronghold of black grouse and contains 80–90% of the UK population of yellow marsh saxifrage. The Magnesian Limestone grasslands of East Durham are a unique habitat not found nowhere else in the world which is particularly important to many species of butterfly and moths. The Northeast of England also features woodland such as Kielder Forest, the largest man-made forest in Europe. This is located within Northumberland National Park and contains an important habitat for the endangered red squirrel. The North East and with the South West are the English regions to have seen the least immigration from outside Great Britain and Ireland for over 50 years. The Northeast of England as a region has the lowest rate of HIV infection in the UK, but has the highest rate of heart attacks among men and of lung cancer among women in England, along with the highest male lung cancer rate in the UK . As of November 2017 the region has the joint highest unemployment rate in the UK at 5.5% and as of April 2013 youth unemployment in the North East is 24.8%, with 51,000 out of work. In 2010 the region had the second highest trade union membership among UK men. Higher education students from the North East are most likely to pick a university in their home region. The Northeast, as part of the "North" demographic region, has the highest proportion of Christians in Great Britain. The Office for National Statistics in April 2013 report that the estimated number of conceptions to women aged under 18 in England and Wales in 2011 is the lowest since records began in 1969. Conception statistics include pregnancies that result in either one or more live births or stillbirths or a legal abortion. A comparison of rates across regions in England shows that the North East had the highest of under 18 conception rates in 2011, with 38.4 per thousand women aged 15–17. The South East had the lowest rate for women aged under 18 in 2011 with 26.1 per thousand women aged 15–17. A study into social deprivation was published in 2010 to help the local partners developing a Regional Strategy for the North East better understand the factors influencing deprivation in the region. The study had two main aspects: Firstly to establish if there are different types of deprived neighbourhoods in the Northeast, and if so, how deprived neighbourhoods can be better recognised. Secondly to present a summary of ‘what works' in tackling deprivation in each of these types of area. Major changes in the employment base, which has changed the nature and spatial distribution of jobs in the UK and within specific regions and localities. The ‘residential sorting' effects of the public and private housing markets. Job losses in manufacturing and coalmining were most severely felt in the north of England, Scotland and Wales – and particular communities within these areas. As a result of the types of jobs that were lost, some demographic groups – particularly older working age males in skilled manual work – were more likely to be affected than others. The region's most deprived council districts, as measured by the LSOA data before County Durham and Northumberland became unitary authorities in 2007, are in descending order Easington (7th in England), Middlesbrough (9th), Hartlepool (23rd), Wear Valley (33rd), Sunderland (35th), Newcastle upon Tyne (37th), South Tyneside (38th), Wansbeck (46th), Redcar and Cleveland (50th), Gateshead (52nd), Sedgefield (54th), Derwentside (73rd), Blyth Valley (80th), and Stockton on Tees (98th). The least deprived council districts in 2007 were, in descending order, Tynedale, Castle Morpeth, Teesdale, then Alnwick. 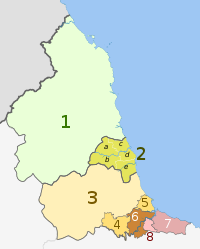 Since the April 2009 abolition of these four districts, Northumberland is the least deprived, followed by North Tyneside. Employment rate highest in the South East (74.8%) and lowest in the North East (66.6%). Unemployment rate highest in the North East (10.1%) and lowest in the South West (6.2%). Inactivity rate highest in the North East (25.8%) and lowest in the South East (19.8%). Claimant Count rate highest in the North East (7.2%) and lowest in the South East (2.7%). North East England, together with Tweeddale, was the ancient British tribal kingdom of Bernicia (Bryneich) and is notable for providing the stable ancestry of its present indigenous population, which has been identified by DNA analysis to be an offshoot of the group "Scotland, Cumbria and the North of Ireland", but not so closely related to the other peoples of the UK. The North East has a strong tendency to vote Labour. In the 2015 election, 47% of the electorate voted Labour, while 25% voted Conservative, 17% UKIP, 6% Liberal Democrat and 4% Green. At the 2009 European election, Labour got 25% of the region's vote, the Conservatives 20%, the Liberal Democrats 18%, and UK Independence Party 15%. The East Coast Main Line (ECML) calls at Newcastle, Durham and Darlington, and provides fast connections to London and Edinburgh. In May 2018 the UK Government announced that the line was to be re-nationalized for the second time since privatisation in 1997. The Durham Coast Line connects Sunderland, Hartlepool and Middlesbrough with the main line. York-based London North Eastern Railway serves the full length of the ECML and operates most of the stations on the route. Grand Central has linked Sunderland, and Teesside with London since December 2007, and is non-stop from York onwards. It does not have electric trains, and uses the Northallerton–Eaglescliffe Line and Durham Coast Line. Local services along these and most other local routes in the North East are provided by Northern, based in Manchester. TransPennine Express, also based in Manchester, have long-distance services from Newcastle, Scarborough and Middlesbrough to Manchester, via West Yorkshire. The Tyne and Wear Metro is a light rail network which serves the metropolitan county of Tyne and Wear. It has stations in Newcastle and Sunderland city centres and other towns and suburbs in the county, as well as at Newcastle Airport and attractions such as the St James' Park, the Stadium of Light, and Gateshead International Stadium. The North East's main arterial carriageway is the A1 road, which mirrors the East Coast Main Line's course. In County Durham this road is of motorway standard and is known as the A1(M), and in March 2018 a section of A1(M) was opened between Barton and Leeming Bar in North Yorkshire providing a continuous link to the motorway network in the rest of England. However, the A1 is still an all-purpose road in Tyne and Wear and Northumberland, and is controversially still single carriageway north of Morpeth, despite being the main trunk route connecting Edinburgh and Newcastle upon Tyne and having a terrible safety record. A second north-south dual carriageway link is provided by the A19 which heads north from Thirsk (accessed via the A168 from the A1(M) at Dishforth), serving Teesside, Peterlee and Sunderland before heading through the Tyne Tunnel to meet the A1 at Seaton Burn. The Tyne Tunnel was opened as a single-carriageway in 1967, and an adjoining new tunnel was opened in February 2011. The course of the A1 through Tyne and Wear has changed twice during the late 20th century. Originally it passed through the centre of Newcastle upon Tyne, but in 1977 it was re-routed to the east of the city through the Tyne Tunnel. In 1993 it was rerouted again along the newly-completed Newcastle Western Bypass to the west of the city. Each of these moved resulted in many Tyneside roads being renumbered, as the A1 forms the boundary between roads beginning with 1 and roads beginning with 6. The A66 connects Teesside with Darlington, County Durham. 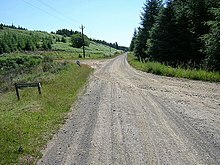 The A68 takes a cross-country central route over the North Pennines and Cheviot Hills to Scotland, often following the Roman road Dere Street, while the A69 heads west from Newcastle along the Tyne Valley to Hexham and then on to Carlisle in Cumbria. The ferry terminal at North Shields is accessed via the A187 from the Tyne Tunnel. 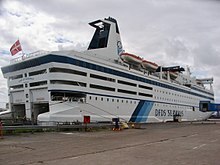 DFDS operate two ferries a day to Amsterdam and, formerly, one a day on the Stavanger – Haugesund – Bergen route. The two main airports are Newcastle Airport, located north of the city near Ponteland, and Durham Tees Valley Airport, located east of Darlington. The region's population is served by a charitable service known as the Great North Air Ambulance for those who need rapid transfer to a hospital or medical assistance in difficult or remote locations. Long term planning for transport in the region has involved the development of sub regional strategies. This planning also needs to take into account region wide transport schemes such as those carried out by the Highways Agency and Network Rail. These activities in the United Kingdom now fall into the remit of the Local Enterprise Partnerships (LEPs) which in the Northeast of England are Tees valley Unlimited and the North East LEP. Bodies such as the Northeast Chamber of Commerce (NECC) and the Institution of Civil Engineers (ICE) are providers of significant practical insights to policy makers. Within the region the local transport authorities plan for the future by producing Local Transport Plans (LTP) which outline their strategies, policies and implementation programmes. The most recent LTP is that for the period 2006–11. In the North East region the following transport authorities have published their LTP online: Darlington, Durham, Hartlepool, Middlesbrough, Northumberland, Redcar and Cleveland, Stockton-on-Tees and Tyne and Wear. See also the earlier sections on NE Economy and Businesses. The North East has the highest value of goods exports relative to the size of its economy, the highest percentage employed in the public sector and lowest gross household income per head of the English regions. The North East's exports of goods, expressed as a percentage of gross value added (GVA), were the highest of all the English regions at 29% in 2010, compared with the UK average of 20%. Over half the region's goods exports were to the EU (55%). A quarter of employed people in the region worked in the public sector in Q4 2011 (24.6%), the highest proportion among the English regions, down from 26.9% in Q4 2009. In 2010, at local authority level the highest shares of public sector employee jobs were to be found in Newcastle upon Tyne and Middlesbrough (both over 33% of all employee jobs). Gross disposable household income (GDHI) of residents in the North East, at £13,300 per head in 2010, was 15% below the UK average and the lowest of the English regions. It ranged from £12,400 in Sunderland to £16,090 in Northumberland. The North East region contributed 3% of the UK's GVA. The region's headline GVA was £41.0 billion in 2010. The latest subregional data (2009) show that Tyneside generated 37% of the region's GVA at £14.6 billion. In 2009 manufacturing industries generated 14% of the region's total GVA, which is the largest industry contribution for the region. Productivity in 2010 (measured by GVA per hour worked) was 88% of the UK rate: one of the lowest of the English regions. Within the region, Northumberland's productivity was the third lowest in England at 75% of the UK rate in 2009. The region's employment rate was the lowest in England at 66.2% for Q4 2011. The latest subregional data for the year ending September 2011 show that North Tyneside had the highest employment rate at 72.6%. The North East had the highest rate of economic inactivity of the English regions, 25% of the population aged 16 to 64 in Q4 2011. There are over 250 nursery/primary schools in the County Durham area of the north east, which range from schools with their own nursery, to schools that are either infant only or junior only. Areas such as Gosforth have first schools which have neither years 5 nor 6, and therefore educate children up to the age of 8 and 9. The North East education system consists largely of comprehensive schools, but a number of private and independent schools are found in Newcastle, Sunderland, Durham, Darlington, Stockton and in particular, Northumberland. in 2014 a number of the regions schools were in the top 20% of schools as measured by SSAT — the UK organisation for school improvement and collaboration — and have been awarded an SSAT Educational Outcomes Award recognising their successes. These schools are Burnside Business & Enterprise College, in Newcastle, Castle View Enterprise Academy, in Sunderland, Emmanuel College, in Gateshead, Greenfield Community College, in Newton Aycliffe, Northumberland Church of England Academy, in Ashington and The North Durham Academy in Stanley. The awards, recognised high attainment and outstanding continuous improvement. At General Certificate of Secondary Education (GCSE) level, the region's performance is similar to that of other largely urban areas, although its results are generally below the national average. Middlesbrough tends to perform the worst, and to produce results well below the national average. Local education authorities (LEAs) in the North East have improved at GCSE in recent years. North Tyneside performed the best in 2011, followed by Gateshead, Northumberland, and Darlington. No LEA in the North-East was above the 2011 national GCSE average. South Tyneside was the lowest for the English Baccalaureate, followed by Middlesbrough and Hartlepool. 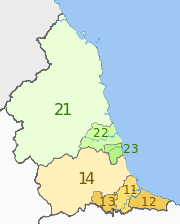 Gateshead and North Tyneside were the highest, and Gateshead was the only LEA above the national average for this measure. The region's parochial schools tend to perform better at GCSE. 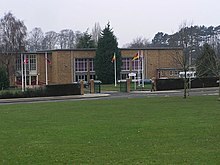 These include St Thomas More Catholic School in Blaydon, the selective independent state school Emmanuel City Technology College in Gateshead, All Saints C of E School in Ingleby Barwick, English Martyrs School and Sixth Form College in Hartlepool, St Bede's Catholic School and Sixth Form College in Lanchester, County Durham, and the Carmel RC Technology College in Darlington. Other regional schools that perform well include Whitley Bay High School the Macmillan Academy in Middlesbrough, Park View School in Chester-le Street, and the Hurworth School near Darlington. Many area schools do not have a sixth form, especially in Teesside, Sunderland and South Tyneside, but all Northumberland schools have a sixth-form along with a three-tier system of education. Middlesbrough and Newcastle have the most students who pass no GCSEs. North East LEAs at A-level are improving, but produce results below those of other areas of England. Sunderland performed the best in 2011, with consistently good results, followed by Hartlepool and Darlington, which are above the national average, and unrepresentative of most areas in the North East. Darlington's Queen Elizabeth Sixth Form College is one of the highest-rated colleges in England. The area's Catholic schools all do reasonably well at A level. Stockton-on-Tees, Redcar, and Cleveland and Newcastle were also above England's average. Newcastle does significantly better at A-level than at GCSE, with consistent improvement, while Gateshead does much worse at A-level than GCSE, and produced the second lowest A-level results in the region in 2009. The worst results at A-level were from Middlesbrough, Durham, South Tyneside and Gateshead. South Tyneside had in previous years been consistently the region's worst performing LEA at A-level. The independent and private schools in the area perform highly. Dame Allan's Schools, Royal Grammar School (NRGS), Barnard Castle School and Durham School are all members of the prestigious The Headmasters' and Headmistresses' Conference. 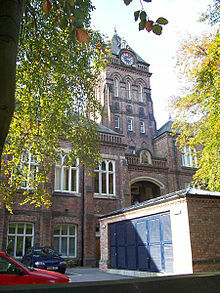 The Central Newcastle High School and the Royal Grammar School were named as among the nation's top 100 independent schools in 2006. Durham School is considered to be one of the oldest schools in the UK, and its Old Boys were the founding members of the original Newcastle Falcons Rugby club. Mowden Hall School, a selective day and boarding prep school in Northumberland, is another well-established and reputable independent school. The private schools out-perform the state schools in the urban areas. In the region, school children from Northumberland are most likely to attend university, followed by Stockton on Tees and North Tyneside. There are sixteen further education colleges in the region. The main such colleges are East Durham College, Newcastle College, New College Durham, Darlington College, Gateshead College, Bishop Auckland College, Stockton Riverside College, Queen Elizabeth Sixth Form College, Hartlepool College of Further Education, Middlesbrough College, Cleveland College of Art and Design and Sunderland College. At the higher education level the North East contains a number of universities. This includes Durham University, which is the third oldest in England and is often ranked among the ten leading UK universities, Newcastle University, a member of the Russell Group, and the newer universities of Northumbria University, University of Sunderland and Teesside University, which was voted Best University in the United Kingdom at the 2009 Times Higher Education awards. Over 50% of the region's students come from the region, and around 35% are from other regions. At first degree level, around 55% are from the North of England, and about 30% are from the North East. More students come from elsewhere than leave the North East for other regions. Of students native to the region, 80% study in the North of England, with Yorkshire and the Humber more popular than the North West, and around 55% study in the North East. The region has a higher proportion of students from so-called low participation neighbourhoods, as compared to elsewhere in England. Durham University has the least from these neighbourhoods. Northumbria University has the most students, followed by Teesside University. Almost 60% of graduates stay in the region, while 10% go to Yorkshire and another 10% go to London. Both areas are accessible via the East Coast Main Line. Regional television is provided by the BBC North East and Cumbria, which broadcasts the regional evening Look North programme from Spital Tongues in Newcastle. Its commercial rival, ITV Tyne Tees & Border, broadcasts the evening programme ITV News Tyne Tees from Gateshead. BBC Radios Newcastle and Tees. National radio comes from Bilsdale on the North York Moors for Teesside, Pontop Pike in County Durham for Tyne and Wear, and Chatton near Wooler for Northumberland. These transmitters are also the main television transmitters. Commercial radio stations such as Metro, Heart (formally Real radio), Capital (formerly Galaxy), TFM, TFM 2 (formally called Magic), Sun FM, and Rathergood Radio (formally Star Radio). Digital radio comes from the Bauer Tyne & Wear and Bauer Teesside multiplexes.There is also a variety of community radio stations such as NE1fm, Radio Hartlepool and Spark FM. Regional newspapers include the Evening Chronicle, Sunderland Echo , The Journal, Evening Gazette, Shields Gazette, Hartlepool Mail, The Northern Echo and the Darlington and Stockton Times. There are also free publications such as The Ferryhill Chapter, Bishop Press, The Hartlepool Post and Shildon Town Crier. ^ "Live and Work North East England". One Northeast. Retrieved 16 August 2013. ^ "World Heretige List: Durham Cathedral and Castle". UNESCO. Retrieved 5 April 2017. ^ "World Heretige List: Frontiers of the Roman Empire". UNESCO. Retrieved 5 April 2017. ^ "Segedunum,Where Roman Life Begins". Tyne & Wear Archives and Museums. Retrieved 22 August 2013. ^ "Great North Museum Hancock, Roman Empire". Tyne and Wear Archives and Museums. Retrieved 22 August 2013. ^ "Lindisfarne Gospels". BBC. Retrieved 20 August 2013. ^ "St Cuthbert Reburied in Durham Cathedral". history today. Retrieved 23 August 2013. ^ Green, Peter. "In Search of St. Hilda". Parish Church of St. Wilfrid, Bognor. Retrieved 23 August 2013. ^ "Venerable Bede". Durham World Heritage Site. Retrieved 2 September 2013. ^ "The Lindisfarne Gospels". 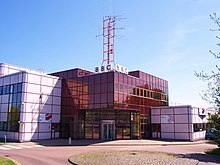 British Broadcasting Corp. Retrieved 2 September 2013. ^ Hirst, Kris. "Viking Raids: The Early Medieval Practice of Viking Raids". About.com Guide. Retrieved 23 August 2013. ^ Simpson, David. "History of Northumbria:Viking era 866 AD to 1066 AD". EnglandsNortheast. Retrieved 23 August 2013. ^ Wood, Michael (1986). Domesday:A Search for the Roots of England. Guild Publishing. p. 129. ^ Oliver, Neil (2012). Vikings A History. Weidenfeld & Nicolson. p. 237. ISBN 9780297867876. ^ Richardson, Sarah. "Migration: Geordie Vikings". Laing Art Gallery. Retrieved 23 August 2013. ^ "UK climate normals station map". Met Office. Retrieved 8 July 2016. ^ "Stockton-on-Tees climate normals 1981-2010". Met Office. Retrieved 8 July 2016. ^ "Tynemouth Climate Normals 1981-2010". Met Office. Retrieved 8 July 2016. ^ Gwynne-Jones, Louise. "SEAL SANDS 1000 years of Industry alongside Nature". NEPIC. Retrieved 15 August 2013. ^ "Exceeding Greatham Expectations" (282 ed.). Current Archaeology. 5 August 2013. ^ "Members Map". NEPIC. Retrieved 16 August 2013. ^ a b c d e f g Simpson, David. "Chemicals and Glass 1800AD – 1900AD". David Simpson. Retrieved 15 August 2013. ^ "Chemical Works Friars Goose 1851". ISee Gateshead. Retrieved 29 August 2013. ^ Carlton, I. C. "A Short history of gateshead – Chemical Works in Gateshead" (PDF). Retrieved 29 August 2013. ^ "Salt cavity natural gas storage – Consent and operational issues". Health & Safety Executive. Retrieved 5 September 2013. ^ Reader, W J (1970). Imperial Chemical industries A History Volume 1 The Forerunners 1870–1926. Oxford University Press. ^ Reader, W J (1975). Imperial Chemical industries A History Volume 2 The First Quarter Century 1926–1952. Oxford University Press. ISBN 0192159445. ^ Hurworth, Colin (1999). Wilton the First Fifty Years. Falcon Press. ISBN 1872339018. ^ "UK Ethylene System" (PDF). United Kingdom Onshore Pipeline Association. Retrieved 17 August 2013. ^ Tolan-Smith, Chris (December 2008). "North East Rapid Coastal Zone Assessment(NERCZA)" (PDF). Archaeological Research Services Ltd.
^ Page, William (1928). History of County Durham Volume 3. pp. 242–247. ^ "Sunderland Economy and Society 1600–1719" (PDF). Victorian County Archive. Retrieved 17 August 2013. ^ "Cerebos Salt Works". This is Hartlepool. Retrieved 17 August 2013. ^ "Weardale Way". I-Net Support. Archived from the original on 31 January 2009. Retrieved 16 August 2013. ^ "Glassmaking on Wearside". British Broadcasting Corp. Retrieved 16 August 2013. ^ "Sunderland Lime Glass and Pottery Paper" (PDF). Victorian County History. Retrieved 16 August 2013. ^ "Hartley Wood and Co Ltd". Tyne & Wear Archive Services. Retrieved 16 August 2013. ^ a b "Mining in Northeast England". Access to Mineral Heritage. Retrieved 18 August 2013. ^ Briggs, Asa (24 March 1993). Victorian Cities. University of California Press. ISBN 9780520079229. ^ "Northeast England Overview:Industrial". Keys to the Past. Retrieved 18 August 2013. ^ Hatcher, /Jane. "Seaham Harbour its history and development Timeline" (PDF). Durham in Time. Retrieved 18 August 2013. ^ Neal, Leo & Neal (2011). Wynyard Hall. Wynyard Hall Publishing. pp. 81–89. ISBN 9780957011403. ^ Neal, Leo & Neal (2011). Wynyard Hall. Wynyard Hall Publishing. ISBN 9780957011403. ^ "Minerals and the Industrial Revolution:Coke to iron to mine pumps to railways". Access to Mineral Heritage. Retrieved 18 August 2013. ^ Lamont-Brow, Raymond (2004). Humphry Davy Life Beyond the Lamp. Sutton. pp. 125–136. ISBN 0750932317. ^ Lamont-Brow, Raymond (2004). Humphry Davy Life Beyond the Lamp. Sutton. p. 131. ISBN 0750932317. ^ "Wearmouth Colliery". Durham Mining Museum. Retrieved 7 July 2011. ^ "'Coal Exploitation in the North East' Lecture". Sunderland University. Retrieved 18 August 2013. ^ Hugill, Steven (27 June 2013). "Dr Stan Higgins, from Nepic, says fracking could cut energy bills". Northern Echo. ^ a b "Iron & Steel in Middlesbrough's History". This is Middlesbrough. Retrieved 20 August 2013. ^ "Where I Live: Jobs threat:strong foundations". BBC. Retrieved 22 August 2013. ^ Simpson, David (1996). Steel River: Two Thousand Year Journey Along the River Tees. Northern Echo. ISBN 1899432051. ^ "Middlesbrough History". Middlesbrough Council. Retrieved 20 August 2013. ^ "Teesside steelworks boost UK economy". The Journal. 23 July 2013. ^ "Introducing the British Steel Collection". British Association for Local History. Retrieved 20 August 2013. ^ a b c d Simpson, David. "Shipbuilding 1790 to 1899". NortheastEngland.co.uk. Retrieved 19 August 2013. ^ Henderson, Tony (9 July 2013). "North East shipbuilding heritage wins international recognition". Northern Echo. ^ Brett & Clark (3 November 2009). Sunderland-the biggest shipbuilding town in the world. Black Cat Publications. ISBN 1899560971. ^ "Shipbuilding on Wearside". British Broadcasting Corp. Retrieved 19 August 2013. ^ Betteney, Alan (1 December 2003). Shipbuilding in Stockton and Thornaby. Tees Valley Heritage group. ISBN 9780954631901. ^ "Shipbuilding on the River Tees". The Teesside Ship Society. Retrieved 19 August 2013. ^ "History of Ship Building in Hartlepool". Hartlepool Mail. Retrieved 19 August 2013. ^ "Discovery Museum Collections Summary". Tyne & Wear Archives and Museums. Retrieved 20 August 2013. ^ "Green light for stem cell clones". The Guardian. Retrieved 22 August 2013. ^ Pearson, Adrian. "Nissan plans its expansion of Sunderland plant". The Journal. Retrieved 22 August 2013. ^ Walker, Martin. "Cash approved for £4.2m Teesside digital centre". BDaily. Retrieved 22 August 2013. ^ "Invest in Northumberland – Key sectors". Arch Corporate Holdings. Archived from the original on 14 December 2012. Retrieved 22 August 2013. ^ "Observatory boasts darkest skies". BBC. Retrieved 22 August 2013. ^ "PD Ports Aims to Make Logistics More Logical". PD Ports. Retrieved 22 August 2013. ^ "Wilton Centre Tenant's Directory – C". Wilton Centre. Retrieved 21 November 2013. ^ "Investment Supports Pioneering Industrial Biotechnology Work". Wilton Centre. 16 October 2013. Retrieved 21 November 2013. ^ "History of Stockton on Tees". ^ "Sir Joseph Swan, The Literary & Philosophical Society of Newcastle". Royal Society of Chemistry. 3 February 2009. Retrieved 29 April 2014. ^ "Acrylic Plastics". eNotes. Retrieved 26 July 2013. ^ "PERP Program – Methyl Methacrylate". Chemsystems. Retrieved 26 July 2013. ^ "University Listings". spinouts UK. Retrieved 29 August 2011. ^ "Double award win for NECC Network". NECC Contact. Retrieved 22 August 2013. ^ McLauchlan, Karen (14 March 2013). "NEPIC trade mission opens doors in India". Gazettelive. ^ a b c Pearson, Adrian (17 August 2011). "North East Enterprise Zone Approved". The Journal. Retrieved 16 March 2015. ^ a b c "Sunderland green enterprise zone helps create 1,000 jobs". Sunderland Echo. 24 February 2015. Retrieved 16 March 2015. ^ Ford, Coreena (9 August 2014). "Commercial Property Focus: South East Northumberland". The Journal. Retrieved 16 March 2015. ^ Walker, Jonathan (16 May 2014). "The future is bright for the North East's economy, say voters". The Journal. Retrieved 16 March 2015. ^ "Teesside celebrates as enterprise zone approved". The Journal. 17 August 2011. Retrieved 16 March 2015. ^ NEPIC Directory. NEPIC. Retrieved 22 August 2013. ^ "RRTEC". Rrnetc.co.uk. Retrieved 12 June 2012. ^ Hornby, Hugh (2008). Uppies and Downies: The Extraordinary Football Games of Britain. English Heritage. ISBN 9781905624645. ^ Brown, Janet. "Ulgham Genealogy". Retrieved 16 September 2013. ^ Francis Peabody Magoun, 1929, "Football in Medieval England and Middle-English literature" (The American Historical Review, v. 35, No. 1). ^ Hutchinson, Roger (1997). The Toon: A complete History of Newcastle United Football Club. Mainstream Publishing. ISBN 1851589562. ^ Simpson, David. "Sport in the North East 1700 to 1999". Retrieved 21 August 2013. ^ Leatherdale, Duncan (5 October 2013). "Barcelona Jack's granddaughter returns to her roots in Crook". Northern Echo. Retrieved 8 October 2013. ^ Proud, Kieth (18 August 2013). "The Player with the Common Touch". The Northern Echo. Archived from the original on 11 December 2013. Retrieved 7 September 2013. ^ Buchan, Charles (1956). A lifetime in Football. Mainstream Publishing. ISBN 9781845966546. ^ Shackleton, Len (2000). Return of the Clown Prince. GHKN Publishing. ISBN 0953824403. ^ Milburn, Jack (2003). Jackie Milburn: A Man of Two Halves. Mainstream Publishing. ISBN 1840188049. ^ Clough, Brian. Cloughie: Walking on Water. Headline Book Publishing. ISBN 0747265674. ^ Jeffry, Jim (2009). Newcastle United: The 1968–69 Fairs Cup Story. Breedon Books. ISBN 9781859837375. ^ Charlton, Bobby (2007). The Autobiography, My Manchester United Years. Headline. ISBN 9780755316199. ^ Charlton, Jack (1996). Jack Charlton The Autobiography. Partridge Press. ISBN 1852252561. ^ Mckinstry, Leo (2006). Sir Alf. HarperSport. ISBN 9780007193790. ^ "Player profile: Alan Shearer". Premier League 2013. Retrieved 21 August 2013. ^ Tallentire, Philip (6 November 2016). "Agree with this top 5 graduates from Middlesbrough FC's Rockliffe Park Academy?". GazetteLive. ^ Tallentire, Philip (25 March 2017). "'Be like Ben Gibson': Middlesbrough Academy boss David Parnaby's advice for Dael Fry". GazetteLive. ^ Simpson, Dave. "Sport in the North East 1700 to 1999". Retrieved 21 August 2013. ^ "Racing in the North East". Northeast Racecourse Hospitality. Retrieved 21 August 2013. ^ "History of Alnmouth GC". Alnmouth Golf Club. Retrieved 21 August 2013. ^ a b Hornby, Derek (1974). The History of Seaton Carew Golf Club. Seaton Carew Golf Club. ^ a b Trotter, Ron (2001). 125 Years of Golf at Seaton Carew 1874–1999. Seaton Carew Golf Club. ^ "Recalling a Century of Golf at Seaton Carew". Hartlepool Mail. 5 March 1974. ^ "Seaton Carew Golf Club". Seaton Carew Golf Club. Retrieved 21 August 2013. ^ Smith, rob. "Top 100 Golf Courses". Golf Monthly. Retrieved 8 September 2013. ^ Trotter, Ron (2001). 125 Years of Golf at Seaton Carew 1847 -1999. Seaton Carew Golf Club. ^ "PGA Tour Roger Roper". The Sports Network. Retrieved 11 July 2014. ^ "Roger enjoys a senior moment". Northern Golfer. July 2011. Retrieved 11 July 2014. ^ "Brabazon Trophy: Big Ben creates a little bit of history for Seaton Carew". The Northern Echo. 29 June 2014. Retrieved 10 July 2014. ^ "Goswick Links Golf Club". Goswick Links Golf Club. Retrieved 21 August 2013. ^ McKenzie, Eneas. "The suburbs of Pandon". British History Online. Retrieved 20 August 2013. ^ "Golf Courses in England". Golf Today. Retrieved 21 August 2013. ^ "Legend Seve comes to Wynyard to unveil new golf trophy". GazetteLive. Retrieved 21 August 2013. ^ "Rockliffe Hall clinches major European golf tournament bringing thousands to the region". BDaily. Retrieved 21 August 2013. ^ Gwynne-Jones, Louise. "The UK's biggest Golf Day goes off with a bang again!". NEPIC. Retrieved 21 August 2013. ^ "Durham County Cricket Club". Durham County Cricket Club. Retrieved 21 August 2013. ^ Glover, Andrew (8 August 2013). "Ashes 2013: Durham prepares to host fourth Test". British Broadcasting Corp. Retrieved 18 September 2013. ^ Raynor, Stuart (12 August 2013). "Thrilling finale to Durham Ashes Test". The Journal. Retrieved 21 August 2013. ^ "Great North Run: Mo Farah narrowly beaten as thousands run". British Broadcasting Corp. 15 September 2013. Retrieved 18 September 2013. ^ Kelly, Mike (16 September 2013). "Great North Run: The event that continues to give". The Journal. Retrieved 18 September 2013. ^ "Great North Run 2014: Mo Farah claims first victory". BBC. Retrieved 11 September 2014. ^ Robson, Dave (8 September 2014). "Millionth finisher Tracey relives her Great North Run triumph for Stockton hospice". GazetteLive. Retrieved 11 September 2014. ^ "North East votes 'no' to assembly". BBC News. 5 November 2004. Retrieved 20 May 2010. ^ "Northumberland Coast ANOB". This is Northumberland Newcastle & the Borders. Retrieved 23 August 2013. ^ Woodcock, Laura. "Bill Oddie presents Saltholme nature reserve volunteers with trophy". GazetteLive. Retrieved 22 August 2013. ^ "Teesmouth NNR". Natural England. Retrieved 22 August 2013. ^ "Rainton". Durham Wildlife Trust. Retrieved 23 August 2013. ^ "Northumberland Biodiversity Action Plan:Black Grouse" (PDF). Northeast Wildlife. Retrieved 23 August 2013. ^ "Biodiversity in the North East:In the uplands". Northeast Biodiversity Forum. Retrieved 23 August 2013. ^ "Kielder Forest and Border Mires". Wildlife Trusts. Retrieved 23 August 2013. ^ "Red Squirrels Northern England". RSNE. Retrieved 23 August 2013. ^ "Britain's immigration map revealed". BBC News. Retrieved 7 September 2005. ^ "New North East HIV diagnoses hit highest level since 2005". HPA. Retrieved 7 January 2013. ^ "Cancer prevention | Health professionals | Cancer Statistics | UK cancer statistics". Wcrf Uk. Retrieved 7 January 2013. ^ robers1. "Regional labour market statistics in the UK - Office for National Statistics". www.ons.gov.uk. Retrieved 4 December 2017. ^ "Youth unemployment set to top 1 million again | IPPR". IPPR North. Retrieved 23 August 2013. ^ Archer, James. "Trade Union membership 2010" (PDF). Department for Business Innovation and Skills. Retrieved 23 August 2013. ^ Coughlan, Sean. "North-south divide in university admissions". Retrieved 23 August 2013. ^ "Survey Religion" (PDF). YouGov Cambridge. Retrieved 23 August 2013. ^ a b "Teenage pregnancies at lowest level since records began". Office for National Statistics. Retrieved 23 August 2013. ^ "Regional Labour Market Statistics, June 2013". Office for National Statistics. Retrieved 23 August 2013. ^ Nature Journal (19 March 2015). "The fine-scale genetic structure of the British population". ^ "Newsletter Issue 6 - March 2015" (PDF). People of the British Isles. Retrieved 1 January 2017. ^ "European elections 2009: North East region". The Telegraph. Retrieved 28 August 2013. ^ "State takeover for failed rail franchise". BBC News. 16 May 2018. Retrieved 2 June 2018. ^ "Regional Transport Strategy: the National Picture". Government Office for the North East. Retrieved 7 May 2009. ^ "Written Statement to Parliament on Local transport body funding allocations". UK Government. 16 July 2013. ^ "Northeast Business Transport Priorities January 2013". North East Chamber of Commerce. January 2013. ^ "State of the Nation 2013, North East Transport". Institution of Civil Engineers. Retrieved 23 August 2013. ^ "The LTP process". Department for Transport. The National Archives. Archived from the original on 13 May 2010. Retrieved 15 June 2012. ^ "Darlington 2006–11 Local Transport Plan". Darlington Borough Council. Retrieved 8 May 2009. ^ "Durham 2006–11 Local Transport Plan". Durham County Council. Retrieved 8 May 2009. ^ "Hartlepool 2006–11 Local Transport Plan". Hartlepool Borough Council. Retrieved 8 May 2009. ^ "Middlesbrough 2006–11 Local Transport Plan". Middlesbrough Council. Retrieved 8 May 2009. ^ "Northumberland 2006–11 Local Transport Plan". Northumberland County Council. Retrieved 8 May 2009. ^ "Redcar and Cleveland 2006–11 Local Transport Plan". Redcar and Cleveland Borough Council. Retrieved 8 May 2009. ^ "Stockton-on-Tees 2006–11 Local Transport Plan". Stockton-on-Tees Borough Council. Retrieved 8 May 2009. ^ "Tyne and Wear 2006–11 Local Transport Plan". www.tyneandwearltp.co.uk. Tyne and Wear LTP. Retrieved 8 May 2009. ^ "Regional Profiles, Economy, North East, May 2012". Office for National Statistics. Retrieved 22 August 2013. ^ Wearn, Rebecca. "North East leads the way on exports". BBC. Retrieved 22 August 2013. ^ Lognonne, Ruth (11 June 2014). "Region's schools ranked among top 20% in the country by the SSAT". The Journal. Retrieved 18 June 2014. ^ "North East Skills – The Skills, Trades and Expertise from Leeds to Newcastle". Skillsnortheast.co.uk. Retrieved 7 January 2013. Wikivoyage has a travel guide for North East England. Wikimedia Commons has media related to North East England.